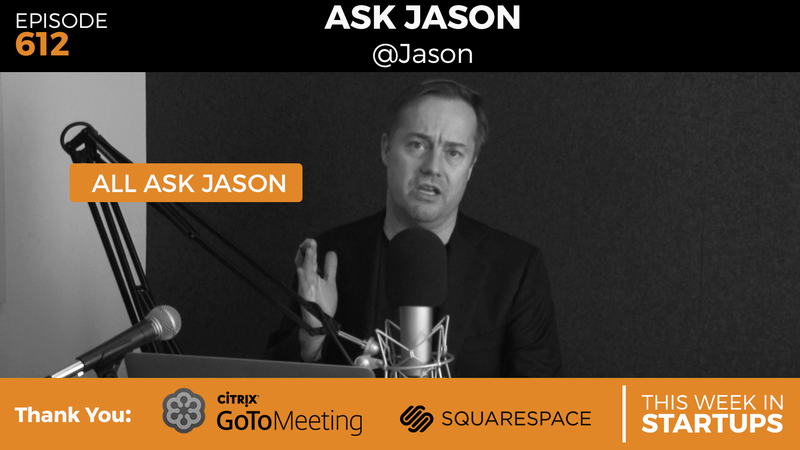 It’s an All #AskJason to jumpstart your 2016! Jason answers 14 fan questions, from selling ideas to successful startups to the top 5 things you should consider when pitching to investors, from business processes that have been surprisingly valuable to Jason to whether he would hire someone with a felony conviction. Also on tap: video trends you can capitalize on, ways to innovate with government, and Jason’s favorite question: is it better to focus on number of users or revenue stream?? All this and much more — don’t miss it! 01:29–04:06: How do I sell my idea to a successful startup? 04:14–07:31: My startup has traction but no investors. Is the problem pitch or product? 07:35–09:28: After a startup’s distribution plan, what is most important to you as an investor? 11:59–15:03: How do you judge startups in fields where you have no expertise? 15:04–17:39: In launching MVP, better to focus on # of users or revenue stream? 17:41–19:23: Where are the opportunities to innovate with government? 19:26–22:18: What business processes have been surprisingly valuable for you? 25:05–30:36: What are the top 5 things to consider in pitching to investors & funding? 30:40–35:36: Would you hire someone with a felony conviction? 35:37–37:31: How do consulting service providers scale up? 37:32– 40:41: Which will have bigger impact on VC market: AngelList $400m fund or YC Continuity Fund? 40:44–42:34: Does scaling & growth matter more than tech? 42:35–47:53: What are big video trends shaking up market, and how to take advantage? 47:54–51:10: How do you raise for “new” tech requiring a multidisciplinary team?